There are many games of blackjack available, regardless of where you play. This is a game that has been readily tweaked and changed throughout its history, as casinos try their best to get an extra edge, to render card counting redundant and to increase the numbers at the tables. With the popularity of online casinos and card rooms the many variants have increased over the last few years and there are now more variants of blackjack played on a regular basis than ever before.. We recently discussed what the best few games of blackjack are and in this article we will look at a broader range of the best blackjack games and will also tell you where you can play them. Blackjack Switch is the blackjack variant with the lowest house edge. This game has many of the standard blackjack rules, where the goal is to get to 21 and players are allowed to make splits and double-downs on the first two cards. There is no surrender but there is insurance, although as anyone who knows basic strategy will tell you, you should never take insurance. The only downside of Blackjack Switch is that players are only paid 1:1 for a blackjack, and not 3:2. This means that a $20 bet will give a return of $40 for a blackjack instead of $50. The game uses a minimum of 4 decks, so anywhere from 4, 6 to 8 decks are used. The main lure of Blackjack Switch is that players can play two hands at once and they can switch the top two cards of both of those hands. This requires some thought outside of basic strategy, as players needs to decide if it’s worth devaluing one hand to increase the value of another, and whether doing so will give them a greater return overall. There are also occasions when a simple switch will improve both hands, in which case the thought process is usually very simple. Blackjack Switch is predominately an online game, but it is available in a number of Las Vegas casinos and other casinos all over the world. As the house edge is so low, casinos don’t exactly rush to include it , but it is a very popular game so there are merits for those who allow it on their tables. Blackjack Switch was developed by Geoff Hall, a Las Vegas blackjack professional and a card counter who patented the game in 2009. He leased the rights to Playtech, a leading online gaming company, and to other land-based and online casinos. There are other variations of the game that go by many names and have some slight rule changes, these include Push On 22. Double Exposure Blackjack is another game that comes with a very low house edge. The rules in this game differ greatly as they are tweaked by many casinos in order to increase the house edge, but the standard difference between Double Exposure Blackjack and Classic Blackjack is that the dealer receives two cards during the deal and both are dealt face-up. This gives the player a huge advantage and they can use basic strategy to great effect, but casinos try their best to reduce their chances of doing so, such as declaring all ties to be wins for the dealer. Double Exposure Blackjack was invented by Richard Arnold Epstein, a Game Theorist who wrote The Theory of Gambling and Statistical Logic. Epstein, who writes under the name E P Stein, did not patent the game so it is available to be used by all online gambling companies and land-based casinos, and is the reason why it is so prevalent in the modern gambling environment. Double Exposure Blackjack goes by many names, such as Dealer Disclosure, Face-up and more. It is available in some online casinos and can also be played in Atlantic City (at the Tropicana and Taj Majal, among others) Las Vegas (Stratosphere, Lady Luck and more) Reno, Tunica and even in European and Asian casinos. The house edges and the rules can differ greatly, so make sure you check before you sit down and bet big. This game is basically Classic Blackjack with one bonus game played throughout. 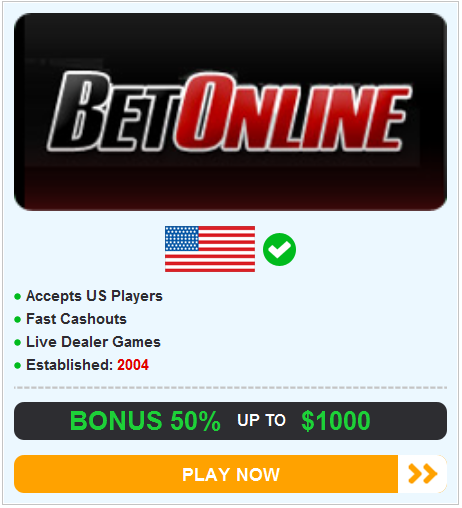 The bonus game can be attached automatically to all hands, or added as a side bet that players need to pay to play. The bonus game awards for streaks, which is when the players win two or more hands in a row. The more hands that they win in a row, the more money they earn. High Streak Blackjack is ideal for those who have nailed basic strategy and therefore win more hands than they lose. It is also perfect for card counters who can judge when they will go on such a winning streak and can play the bonus in anticipation. Unfortunately, High Streak Blackjack is not yet available in land-based casinos, so card counters will not be able to get their hands on this game yet. It is available in a number of online casinos though, and although card counting is not possible online, this extra bonus bet can still be highly profitable for those with solid knowledge of basic blackjack strategy. Chinese Blackjack has a lot in common with standard games of blackjack, but there are also rules that have been taken from other variants, such as Pontoon. One of these rules is the Five Card Trick, which is an automatic win for the player and occurs when the player uses 5 cards to get to 21. This game is usually played with 2 decks. Chinese Blackjack is common in Asia and is generally played in most casinos and card rooms. This game might be available online through Asian casinos, but it is generally not used by any Western casinos, either online or offline. Elimination Blackjack is basically tournament blackjack, and can be played on a large or small scale. In Elimination Blackjack the rules of Classic Blackjack apply, but these can change depending on the casino. Elimination Blackjack has been known to be played with everything from 1 deck to 8 decks, and using several different variations of the game. In Elimination Blackjack players play against each other as well as the dealer. The goal is to have the most chips at the end of a specified amount of hands, and therefore to “eliminate” the other players as they progress through the tournament. The plus points of Elimination Blackjack are that adept players can turn a small buy-in, often around a few hundred dollars, into a significant win, often as big as tens of thousands of dollars. These tournaments can be as large as poker tournaments, which allow players to win jackpots of hundreds of thousands from very small buy-ins. Elimination Blackjack is available online and in land-based casinos. These tournaments are not as widely available as standard games of blackjack, and players are advised to check in advance for scheduled tournaments. They might run more frequently in larger casinos in popular destinations such as Las Vegas, but in general the casinos stand to make more money from using their tables normally than for setting up tournaments. Double Attack Blackjack contains a number of rule changes and tweaks, with the main one being that the player is allowed to double their bet after they see the dealer’s up-card. As the dealer’s up-card is essential to basic strategy, this can be a crucial change that allows the player to tip the odds in their favor. Other advantages include the ability to double after a split, to double any time and to surrender, whilst the disadvantages are that blackjacks only pay even money, the dealer can peek for blackjack and aces can not be resplit. Double Attack Blackjack is often played with 8 decks, namely due to the fact that is common in Atlantic City, where all blackjack games use 8 decks due to the card counting laws (AC casinos are not allowed to ban or remove players for counting cards). These decks are known as “Spanish” decks, as they are used for games of Spanish 21, which are standard decks with the 4 ten cards remove. Double Attack Blackjack is a very fun game that can be turned into a very profitable game if played correctly. The rules of basic strategy apply for most of the game, but bet sizes need to be tweaked to accommodate for this big rule change. if you play it like you would when counting cards, increasing bet sizes when your chances of wining increase, then you can make a very nice profit from this game using strategy alone. Double Attack Blackjack is a very popular game in Atlantic City, where it can be found in the majority of the casinos and is much loved by the local blackjack-playing population, but it is also available in Las Vegas at the El Cortez casino. As far as we know Double Attack Blackjack is not available on any online casino software and we haven’t heard any reports of the game being played in international casinos, such as those in Europe, Australia and Asia. As the name suggests, Single Deck and Double Deck Blackjack games are those that use either one deck or two decks. These are often dealt straight out of the dealer’s hand, but in the case of Double Deck Blackjack some casinos may deal the cards from a shoe. These games not only decrease the house edge (generally, the fewer decks used, the greater chance the player has of winning) but they are also great for card counters. These games are therefore very rare, and in places like Atlantic City you will not find any of them. There are some of these games available in Las Vegas, but if you’re in Nevada then Reno is a best place to be. On average the casinos in Reno use fewer decks than their counterparts in the City of Sin, so although the lights may not be as bright, Reno is a much more enticing destination for blackjack players. You can also find some of these games in other card rooms nationwide, including Florida, but there are not many of them in international casinos, where Pontoon, European Blackjack and other variants are more common. You can find Single and Double Deck games online, but as the cards go back into the deck and the deck is then shuffled, the advantages that these games bring are rendered worthless. Online casinos do this to avoid card counters, otherwise they would lose a lot of money and would have no way of spotting or stopping those doing it. 21 Duel is a little different to the other games on this list and very different from Classic Blackjack. Whilst many popular variants twist and tweak the rules allowing for more fun and greater payouts, 21 Duel discards them altogether and basically creates a new game from scratch. The game begins when 6 cards are dealt, two to the player, two to the dealer and two community cards. The aim of the game is to then make a hand using one of the two cards in your hand, and one of the community cards, bearing in mind that the dealer can also see these cards and has to do the same. Once you have your hand you then have to consider several betting options. The standard blackjack rules of hitting come into play, but there is no split or double down options here, and the final outcome is also a little different. Overall the game is much more complicated than Classic Blackjack and you’ll have to forget not only basic strategy, but also everything you know about blackjack, as neither apply here. It is a very fun game to play though and after some practice, once you get the hang of it, then it can become a very profitable one. 21 Duel is licensed by the Playtech software brand, and is therefore only available on online casino software that has been created by them.